They come with very plush padding, it's thick and comfortable - the reason i ordered them to begin with was because of the design but this is definitely a highlight i thought was worth mentioning. As always - love ordering from here, thanks a ton! love these stools!!!! i am so happy to have them!! Super functional, love the ability to adjust heights, comfortable and i love the sleek seat & metal combo. The stool is attractive and stylish - the covering looks and feels like leather. ProsThe price is approximately one-half the price of the same style stool in genuine leather. ConsThe adjustment mechanism has been troublesome. how much does this item weigh and can it be used for counter height? 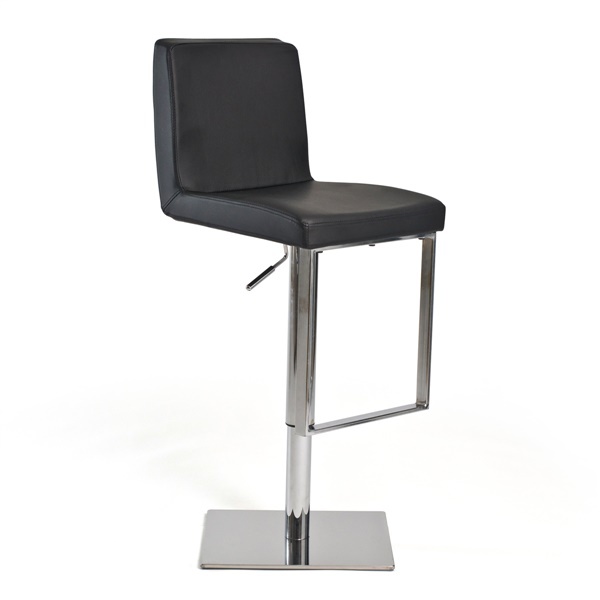 The Ryland adjustable stool weighs 39 lbs and it is made to be used for bar or counter height. The approximate weight of the Ryland Adjustable Stool is 39 lbs.